Infographics are a wildly popular way to present compelling data in a striking visual format. 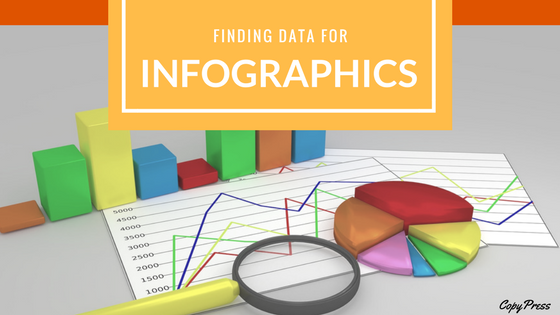 While color palette, typography, and graphic representations all play vital roles in your finished piece, it’s data that truly resides at the heart of your infographic. You can’t create an engaging piece without a solid base of factual information to build upon. The internet offers a wealth of information, ripe for visual presentation. You simply need to know where to look. Government organizations are an outstanding source of in-depth data. The Bureau of Labor Statistics is a trusted favorite for anyone who writes regularly about job trends, salaries, and other employment information. The United States Census Bureau collects information on politics, demographics, finance, and education in the country. If you want a global view, turn to the CIA World Factbook. Visit the U.S. Department of Energy’s website for analysis and projections related to energy consumption. Government websites make reliable resources that will always present a solid backing to your story. In general, looking for the .gov extension will help you identify helpful resources for your infographics, though you should still examine these sources carefully to make sure they’re current and relevant. If you’re writing about health or medicine, academic studies are one of your best sources for information. The U.S. National Library of Medicine is a solid place to start, serving up resources on genetics, medicine, chemicals, taxonomy, toxicology, environmental health, health information technology, biomedical research, and more. You’ll find a wealth of studies to help you support various conclusions about health and wellness. Best of all, these are presented with all the necessary background information to help you evaluate how these conclusions were drawn. By assessing the methodology behind a study, you can determine which data points are best in service of your cause and which lack the support to make a strong conclusion. The Pew Research Center is a fact tank that supplies information on a broad range of topics including politics, religion, technology, science, and social trends. You’ll find studies that cover poverty and population trends alongside those exploring life satisfaction and leisure. Find out how people feel about the “American dream,” how automation is taking hold in Americans’ daily lives, and more. If you’re still in the ideation stage for your infographic, consider starting at the Pew Research Center to see what trending topics and recent polls catch your attention. The information here is well-presented and filled with concrete facts that are ideal for the format of an infographic. Get to know the top research foundations in your industry and keep a close eye on these resources for interesting data for infographics. If you’re writing a food infographic, turn to the Organic Farming Research Foundation to see which newly-completed projects may have data to support your key points. Most diseases have research foundations to support them, which can provide valuable information both on the disease and on general health and wellness. The International Life Sciences Institute Research Foundation maintains databases on crop composition and world nutrients for dietary studies. There are countless resources like these available online. Once you’ve taken the time to dig up those most relevant to your niche, keep them handy for future projects. While there are ample sources for free information online, sometimes it’s worth the investment to subscribe to a data-heavy resource, particularly if you create a lot of infographics. A site like Statista can supply you with thousands of studies and reports that are easily searchable to help you add weight to your points. If you’re regularly looking for industry data that’s not readily available for free, subscribing to the right journals can make a dramatic difference. 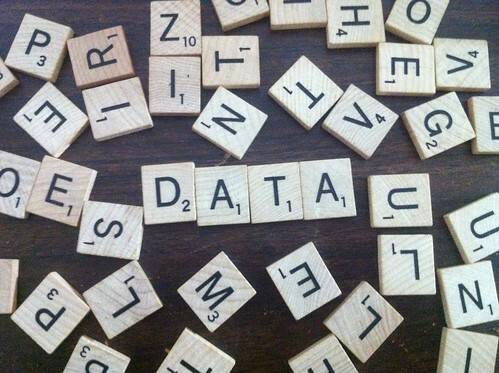 Investing in data is worthwhile when you have a focused idea of how to use it. Ideate several pieces that will gain leverage from access to subscription data, then consider this purchase. One of the best sources for infographic data is your own company. This is the only way you can supply your audience with truly one-of-a-kind information that they won’t find elsewhere. When you’re sourcing data from other sources and studies, you’re almost always using points that someone else has cited before. You can still make these interesting by presenting them in new ways and drawing the appropriate comparisons to help you audience understand better. However, using others’ information always comes with the risk of a quick bounce from those who are already familiar with the facts. Gathering your own internal data will not only give you original data, it will inevitably help you tie the infographic in with your own products and services and the company’s key marketing objectives. If you’re providing call center equipment, collect data from your top clients that demonstrates how many calls each user handles in an hour with your scripting. If your company manufactures candles, do your own test on burn time so you have hard facts about how your products last. Internal data will give you an edge on original infographics. When internal data isn’t available to support to your points, start reaching out beyond the bounds of your business to gather data yourself from outside sources. Social media sites and handy online polling tools make it possible to reach thousands of respondents in a short amount of time. These same tools can help you assess the data efficiently to gather meaningful conclusions. In addition to supplying you with information for your infographics, hosting these types of polls will also give you some useful inspiration to guide your ideation going forward. You can gauge which polls get the most interaction and focus your pieces on these topics to better suit the interests of your audience. Reliable, factual data is essential for infographics that will truly carry weight. Use these resources to build a strong foundation for compelling infographics your audience will love.